This entry was posted in POWs, Writing notes and tagged Beyond the Bamboo Screen, Clifford Kinvig, Colonel Toosey, Far East POWs, Julie Summers, Researching FEPOW History, Thailand, Thailand-Burma railway, The colonel of Tamarkan, The River Kwai Railway, Tom McGowran, Weary Dunlop, WWII by hilarycustancegreen. Bookmark the permalink. The stamina of the brave at heart pulled him thru that operation. Thank you for the story, Hillary. I’m glad all your comments on the previous post made me look into his life a little more than I had done. I also discovered an error in Barry’s dating while doing this. So double thanks. 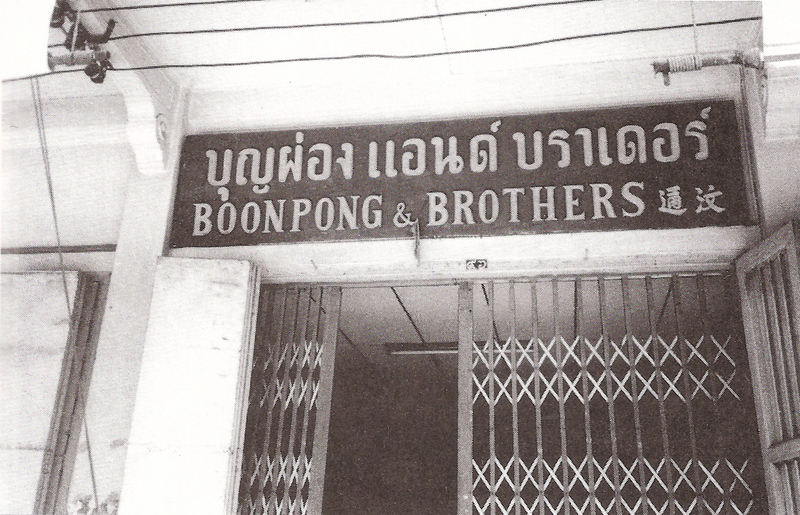 It was fellow bloggers who asked about Boon Pong, after I had mentioned him in a previous post. The Internet is wonderful for spreading this kind of information. From Hillary Green, quite the expert on the Far Eastern POWs, Fepows. Thank you, it’s a gigantic field and I am only familiar with a few corners of this sad and sometimes heroic story. This was a very sad time, but I think we are all guilty of denying or rationalising our past behaviour. Guilt is very difficult to admit to. It took the Germans a generation and a half to begin to accept and teach the next generation about their guilt. I think things are slowly changing in Japan too. Yes, it is good to remember such people. I think there were many people, now forgotten, who helped, sadly many of them also lost their lives for doing so. it’s a shame their stories passed with them. An inspiring story. He should have received far more recognition and reward, in fact. I wonder how many of us would have the conviction and courage he showed. Yes, he was a rare being. His persistence and intelligent handling of situation over years made an astonishing difference. Lulu also deserves belated separate recognition, and removal of the confusion between her and the French heroine. I agree. I have just come across another mention of a woman in Basil Peacock’s memoirs, who could have been Lulu. Just another brilliant reminder that our POWs were not totally on their own. Though many felt totally isolated, it was the efforts of such individuals supporting them, who made all the difference. What a truly warm story filled with unselfish heroics. Thank you for sharing it, Hilary, and to gpcox for the re-blog. 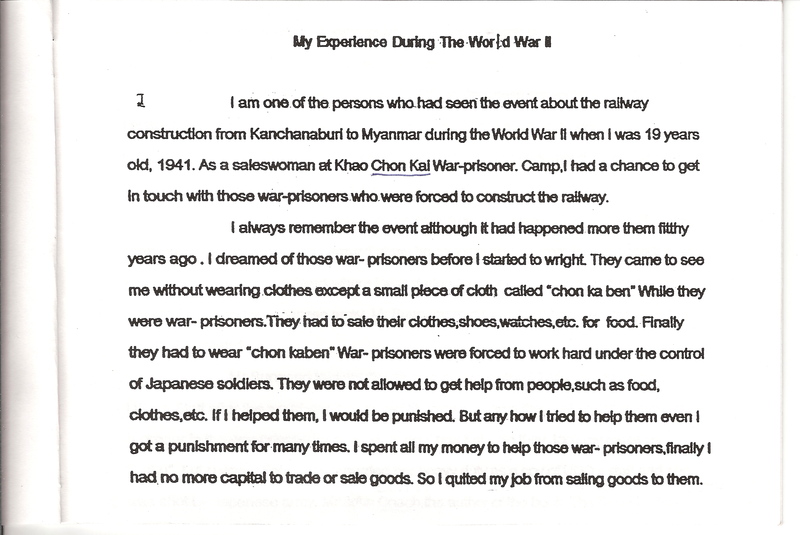 Thanks Koji, when I am researching, I come across many warm stories in amongst the bad events. I have read this story somewhere before, there must have been many like Lulu, Millie and Boon Pong, unsung heroes and heroines whose selfless works saved many lives. May history never forget these Angels of Compassion and Mercy. I agree, and I am glad to have helped in keeping their memories alive. What a wonderful story. Thank you so much for giving me the chance to read it. Thank you for reading, that’s what makes it worth writing about these wonderful people. Thanks for sharing this story. By having it on the internet, it will live on for a very long time. People need to know the truth. I hope you are right, so many people do good unsung, we must remember those we find. Isn’t it wonderful? It makes me happy to know that generations of Thai doctors will remember him through the Fellowship that the surgeon Weary Dunlop set up. Thank you Hilary for your beautiful commitment to sharing information. What a sacred trust you have with the gathering and sharing of these wonderful stories of the real people who were superheroes in their time. It comes from having parents who, in spite of their hard times during the war, did so much for others both then and later as parents to us. Hilary, do you happen to have something on the survivors of the “Prince of Wales”? As far as I know, they went to Singapore and later POW camps for the railroad – anything more specific or a resource that might have more? Your question sent me scurrying to the bookshelves. It was late last night when I found the book my husband had discovered among his father’s books. It was written by a survivor from the Prince of Wales and published in 1944, so probably not much help to Stephen. I’ll go and visit his website and reply to him. Thank you very much, Hilary. Any first-hand account of the event and/or after actions are interesting to Steve. I appreciate your efforts. I had a look at this – amazing men. The Burma Campaign is very remote from the Thailand-Burma area where the men I study were POWs. However, at one of my launch parties someone asked me to find out about a book he had found in his home. It is Kelly’s Burma Campaign, by Desmond Kelly, about Norman Kelly with a message to ‘Richard’ from Desmond Kelly in the front. It will be a while before I get to this. Thank you GP Cox. Hilary, it was GP who informed me of your blog and here I am! Wonderful site. I am researching my paternal grandfather’s British Navy service. He was a survivor of the sinking of the Prince of Wales in 1941. His naval record states that he was part of the company of the Prince of Wales on Dec 10, 1941 (the day it was attacked and sunk) then on the very next day his records say he was on a ship called HMS Lucia. I believe this entry was an administrative convenience and at the minimum he surely would have spent at least a few days in Singapore after the rescue. If you are able to assist, I would be grateful. Hi Stephen, I have made a brief visit to your blog, but I am rushing around at the moment. This is not an area I know much about, but as I mentioned to GP above, I have one book, published in 1944 by a survivor and his father. It’s called One Year of Life: The Story of H.M.S Prince of Wales by Alan and Gordon Franklin. It is miraculously available on Amazon https://www.amazon.co.uk/YEAR-LIFE-story-H-M-S-Prince-Wales/dp/B0007IZWAS. I don’t know if it will help your enquiry, but if you haven’t seen this book you will find it an interesting first-hand account. 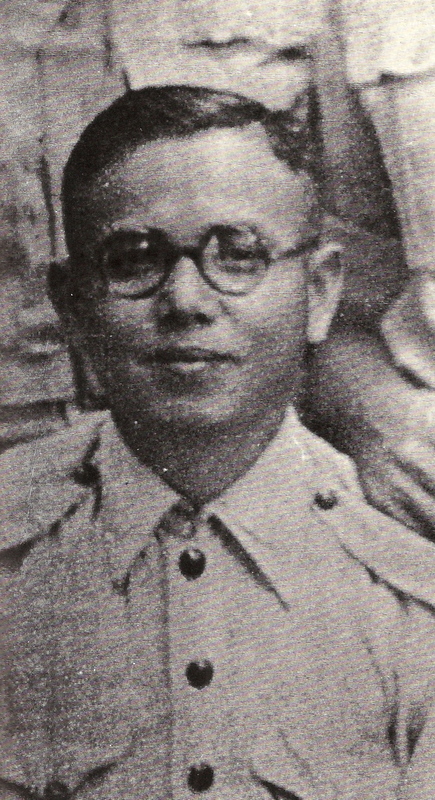 Alan was evacuated to Singapore on the Express and later went by train to help the evacuation of Penang. he then fetched up on the crew of Jupiter but was invalided out and sent to Colombo before the Jupiter was sunk. I’ll keep on the alert for further information. Thank you Hilary. I will check out the book on Amazon. Hilary, I wasn’t aware of this book so a very big thank you as I think it will help me fill in some gaps. Pay day tomorrow so I will order the book then! So inspiring to read about those who help their fellow man in spite of dangers to their person and that of their family. I am looking for something written about the American Japanese internment camps. If you have any to refer please let me know. thanks for the post…enjoyed learning about this family. and thanks for the like on my page. Hi Vicki, I have not yet read the books you mention. There are so many books directly relating to the (British) POWs that I am interested in that I have many still to read on my shelves. 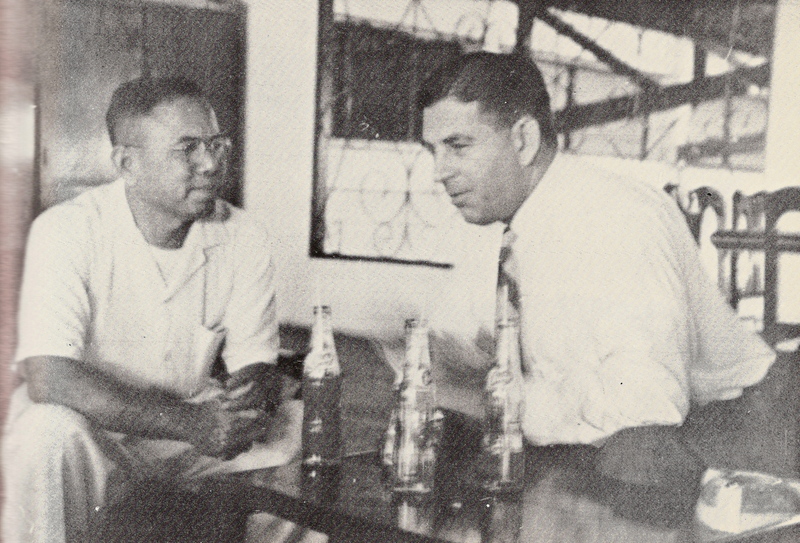 While I have read several Australian, Malay Volunteer and Java Dutch accounts, I have read very few American ones, as they were rarely in the same place as the Brits (and they didn’t always get on very well). The few that I have read speak of great individual heroism and comradeship and appalling Mafia-style gang-based coercion. I will try a remember where I read these and keep an eye out for anything relevant. I dipped into the war bride project just now and found it delightful, and fascinating. These links were between soldiers who had not been POWs and Japanese girls. My father was sent to Germany after the war and here too romances flourished between soldiers (who had not fought in Germany) and local girls. It is good that meeting the ‘enemy’ quickly dispels prejudice against a nation as a whole. No, not POWS…as you say these met after the war. Apparently the US military didn’t want the soldiers to meet or marry the woman of Japan and especially didn’t want them bringing them back to the US. My parents were stationed in Japan in 1952 (before I was born) so not too long after the war ended. I saw many home movies they took (my oldest brother was a baby) while in Japan. I have a particular attraction to the area and the people (and their gardens). We were also stationed in England after I was born…I adore the English – lots of fond memories and wonderful children’s stories. My sister-in-law’s parents met in Germany after the war – her mom is German and dad was American. Her mom is one of my favorite people. Please let me know if you have books to recommend about the doings of ordinary people. We saw the movie “Silence” a couple of weekends ago…a not so pleasant historical time in Japan. The subject was thought provoking. This is interesting. My father’s aunt died when her evacuation ship from Singapore in 1942 was bombed by the Japanese, yet her grandsons both married Japanese girls. My father’s great nephew also has a Japanese wife. So, in spite of some very negative press for immigrants, the world is slowly mixing and maybe one day nationality will no longer be such a divisive issue. Thanks for sharing. One good thing about the Internet is that we can read about unsung heroes that mainstream media/history books have ignored.